On Jan. 27, the Taliban and the U.S. government each publicly stated acceptance, in principle, of a draft framework for ongoing negotiations that could culminate in a peace deal to end a two-decade war in Afghanistan. “The war was started by men, the war will be ended by men,” an aide to Rula Ghani, the wife of President Ashraf Ghani, recently told a Reuters reporter. “But it’s the women and children who suffer the most and they have a right to define peace.” In 2018, the United Nations expressed alarm at the increased use of airstrikes by U.S. and Afghan forces which caused a rising death toll among women and children. In the run-up to the past week of negotiations and even during the negotiations, attacks and counter attacks between the warring parties killed dozens of civilians, including women and children. Both the Taliban and the U.S. seemed intent on showing strength and leverage by demonstrating their willingness to slaughter the innocent. Since 2001, and at a cost of $800 billion, the U.S. military has caused irreparable and horrific losses in Afghanistan. Afghan civilians have endured invasion, occupation, aerial bombings, ground attacks, drone warfare, extensive surveillance, internal displacement, soaring refugee populations, environmental degradation and the practice of indefinite detention and torture. How would U.S. citizens bear up under even a fraction of this misery? By late 2018, even a top military commander, Army General Scott Miller, told CNN the United States had no chance of a military victory in Afghanistan. He stated the fight will continue until there is a political settlement. Some might counter the United States has already provided over $132 billion dollars for reconstruction in Afghanistan. But, did that sum make a significant difference in the lives of Afghan people impoverished by displacement and war? I think not. Since 2008, John Sopko, the Special Inspector General for Afghan Reconstruction, or SIGAR, has submitted quadrennial reports to the U.S. Congress detailing ways waste, embezzlement, fraud and abuse have consistently resulted in failed reconstruction efforts. 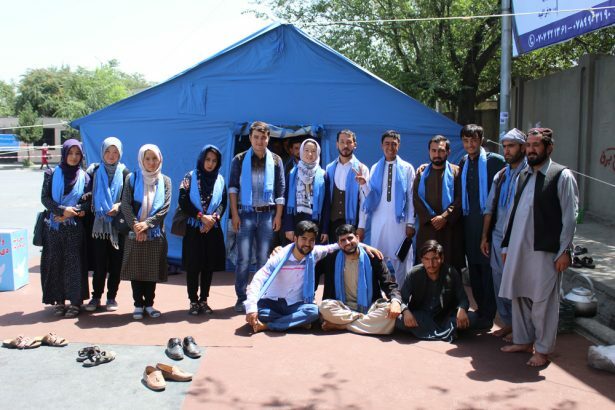 Sopko and his teams of researchers and analysts offered a chance for people in the United States to see ourselves as we’re often seen by an increasingly cynical Afghan public. But we seldom even hear of the SIGAR reports. In fact, when President Trump heard of these watchdog reports during his first cabinet meeting of 2019, he was infuriated and said they should be locked up! It’s telling that SIGAR was preceded by the Special Inspector General for Iraq Reconstruction, or SIGIR, which filed similarly critical yet largely unnoticed reports. U.S. citizens often regard their country as a civilized nation that goes to war against demonic tyrants. Martin Luther King Jr. held forth a different vision. He urged us to see the humanity of other so-called enemies, to ask how we’re seen by other people, and to thereby gain a needed understanding of our own weaknesses. If we could hear from other people menaced by militarism, including ours, if we could see how our wars have contributed to terrorism, corruption and authoritarianism that has turned the United States into a permanent warfare state, we might find the same courage that inspires brave people in Afghanistan to speak up and resist the all-encompassing tyranny of war.